Pre-Eclampsia: pregnancy induced hypertension which is first detected by a sudden increase in blood pressure and when the increased blood pressure is in combination with proteinuria and generalized edema. Eclampsia – includes all the symptoms of pre-eclampsia with the addition of convulsions. Varicosities – pregnant women experience this because the enlarging uterus compresses the veins in the pelvis. This obstructs venous return to the heart and increases pressure in the veins of the legs. Weight gain also contributes to this. Estrogen, Progesterone and relaxin affects the composition of collagen in the joint capsules, ligaments and fascia to allow greater elasticity. This causes pregnant women to have excessive mobility but also causes muscle spasm ( to provide joint support), which in turn causes pain. 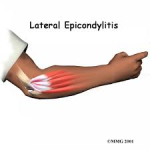 Compression Syndromes such as thoracic outlet syndrome and carpal tunnel syndrome because of arm and hand edema. Sciatic nerve compression, piriformis syndrome because of legs’ externally rotating from the increased abdominal girth. Edema– occurs due to retention of fluid which usually occurs in the legs. Gestational Diabetes – a type of diabetes mellitus that develops during pregnancy. In late pregnancy, there are increased amounts of insulin in the blood because of insulin resistance in the body. Emmenagogic essential oils ( those that induce uterine contractions) should not be used in the first 3-4 months of pregnancy. Abdominal and sacral massage is comprised only of light massage techniques or should be avoided especially in the first trimester. Abdominal Massage only after the 4th month of pregnancy( light massage techniques). Deep massage and fascial massage techniques are contraindicated over the low back during the first trimester of the pregnancy. Fascia should be assessed for any stabilizing role in the patient’s posture before using massage techniques to treat them. Aggressive joint play and mobilization techniques during the entire pregnancy and 6 months after pregnancy are contraindicated. If patient has diabetes, a snack or juice should be eaten prior to the massage treatment and shortly after as well. In the 2nd & 3rd trimester of the pregnancy, the client must be carefully positioned on her back to avoid compression of the Aorta and Inferior Vena Cava. If nausea or discomfort is experienced despite modification, change to side lying or seated or the treatment might have to be discontinued. Promote a healthy pregnancy by including relaxation techniques and providing a supportive environment. Prenatal massage treatment addressing the indicidual woman’s symptoms with the goal to decrease pain and postural discomforts. Reduce muscle spasm, trigger points and hypertonicity.